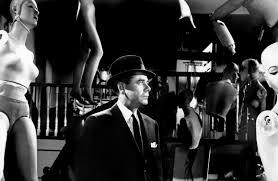 Film noir has long been a passion of mine, and regular readers of my reviews will know I can be rather pedantic over what qualifies a particular movie as part of the genre. As the years have passed, I’ve watched lots of critics and festivals and marketing men bend the term to fit anything that has some kind of crime element in its narrative, disregarding style, tone, and theme in the process. 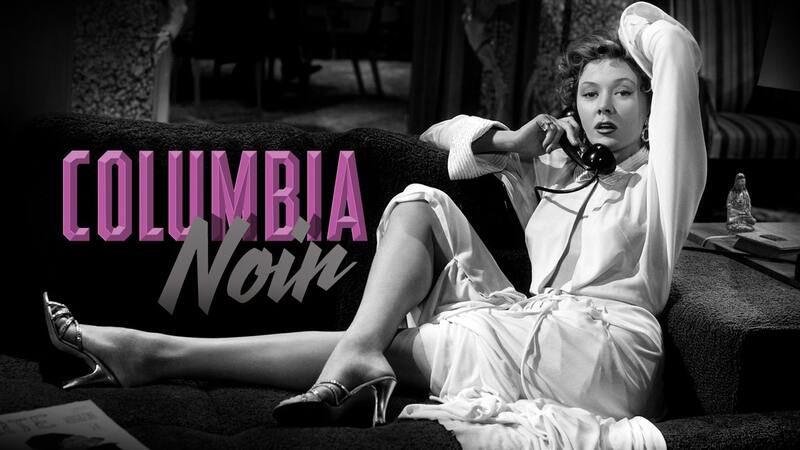 So it is with the newly opened Criterion Channel’s special collection of “Columbia Noir,” bringing together an unlucky thirteen from the Columbia studio vaults. 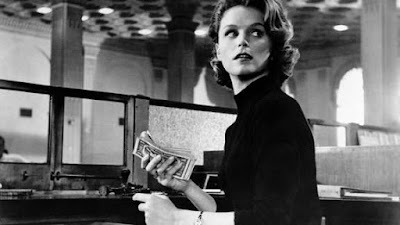 Upon first entering the new site, I was particularly excited, because out of that baker’s dozen, I had only seen one: Fritz Lang’s bonafide classic The Big Heat. Sadly, from my initial sampling, the curation here is lacking in rigor. Picking movies from both sides of the set in terms of chronology, at least to start, I have found the selection to be a mixed bag of solid flicks of varied stripes, but not really film noir. Take, for instance, My Name is Julia Ross, the earliest release offered, dated 1945. 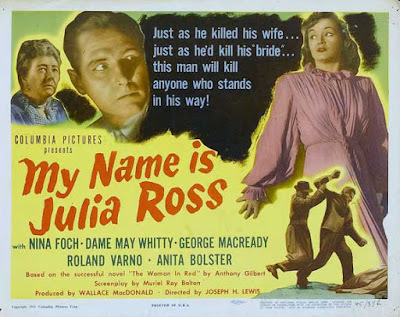 Directed by Joseph H. Lewis, who went on to make the noir perennial Gun Crazy, My Name is Julia Ross is more an amalgamation of early Hitchcock than traditional noir. It’s like a mash-up of The Lady Vanishes [review] and Rebecca [review], a little bit of mystery and a little bit of gothic atmosphere. Nina Foch (An American in Paris [review]) stars as the titular Julia, a London career girl excited to gain regular employment as secretary to a rich widower and his mother. Only, as Julia quickly discovers, this gig is not on the up-and-up. The day after she moves into her new quarters, she wakes up at the seaside in an unfamiliar house where everyone refers to her as Mrs. Hughes and treats her like a hothouse flower. What she quickly realizes is that her employers, played by George Macready (Paths of Glory [review]) and May Whitty (coincidentally, Mrs. Foy in The Lady Vanishes), are trying to use her to replace the man’s dead wife, gaslighting Julia in an attempt to cover up the murder. It’s a good concept, and could be quite captivating in more adept hands, but Lewis and screenwriter Muriel Roy Bolton (The Amazing Mr. X) give the game away too quickly. They never let the audience spend any time in Julia’s shoes, and so there is no suspense. We are privy to the plot she’s been drawn into and never once led to believe she’ll have any trouble getting out of it. In terms of storytelling, My Name is Julia Ross is equally flat. 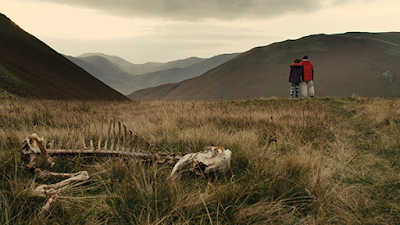 There is no apparent aesthetic here, no dark shadows or misty moors, nothing to tie the film to any particular cinematic movement. My Name is Julia Ross is a perfunctory B-picture, little more. The screenplay skirts the edges of intriguing issues--the compulsion to kill that drives Julia’s would-be husband, the perception of single women in the city, etc.--but stops short of really giving any of these topics genuine heft. No such series exists. Cassin was created by a writer named Aubrey Wisberg (Hercules in New York) for the story adapted here. So Dark the Night follows the middle-aged Inspector Cassin on a much needed vacation to the countryside. In the small town, his reputation precedes him, and his presence shakes up the norm. He attracts the attention of Nanette (Micheline Cheirel), the innkeeper’s daughter, and when Nanette turns up dead, her jealous fiancé (Paul Marion) is the obvious first suspect. Only, someone has killed him, too, leaving the normally unflappable Cassin with nothing to go on. 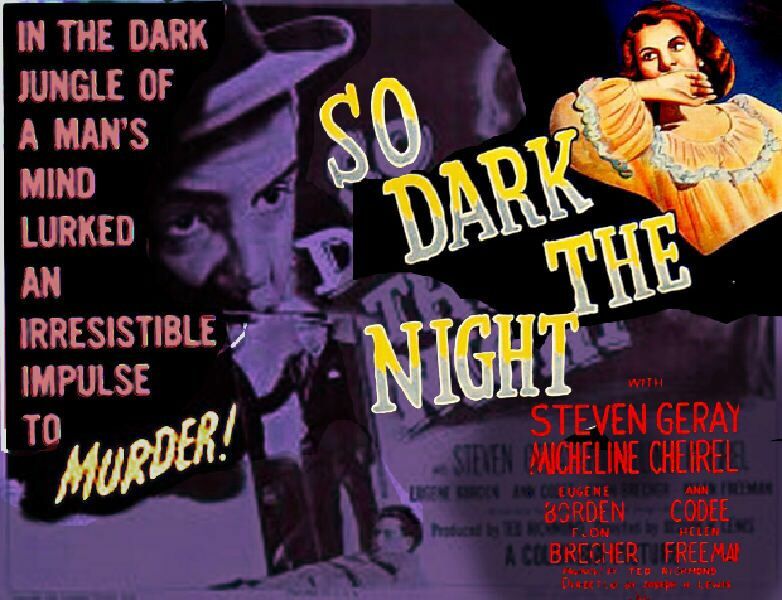 So Dark the Night is an enjoyable little mystery, taking advantage of its rural setting and maintaining an upbeat manner that is antithetical to the usual urban existentialism we associate with noir. Inspector Cassin is a genuine good guy who wants nothing but happiness for his fellow man, and so also far from our expected noir protagonist. In fact, his demeanor should make the mystery’s resolution even more implausible. The climax of So Dark the Night would normally be a textbook example of something you just can’t do in a murder mystery, withholding clues and offering a resolution the audience couldn’t possibly puzzle out on their own, but Lewis--and more significantly, the ever likable Steven Geray--makes it work. Even so, this is more PBS territory than it is noir, more conservative flirting between decent folk than overheated passion amidst desperate degenerates. 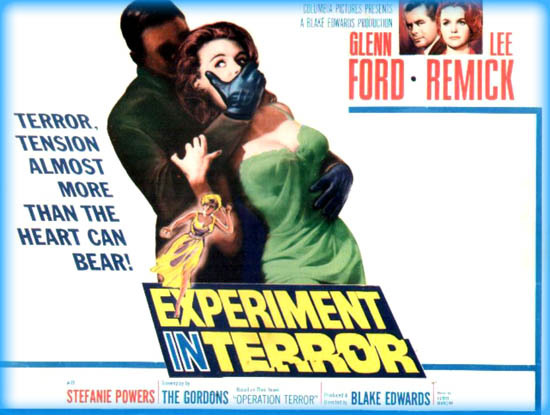 On the opposite end of the timeline here is Blake Edwards’ 1962 thriller Experiment in Terror. A stylish psychological potboiler, Experiment in Terror is closer to noir territory, but it’s more indicative of a post-Psycho box office landscape than post-War anxiety. Lee Remick stars as Kelly, a single woman raising her younger sister all on her own in Twin Peaks, Washington. (Yes, that Twin Peaks.) At the start of the movie, she thinks she is coming home just like every other night, only she is jumped by a man in her garage who knows a little too much about the minutia of her life. He threatens her and her sister if she doesn’t rob the bank where she works and deliver the cash to him. It’s a tense, unsettling scene, made all the more scary by the violent attack Kelly suffers when she tries to call the FBI, believing her assailant to have already gone. Luckily for her, the call got through anyway, and Agent Ripley (Glenn Ford, Gilda [review]) is ready to help out. Believing this is not the first time this crook has pulled such a trick, Ripley attempts to make it his last by stringing the bad guy along, hoping to figure out who he is before he forces Kelly to carry through on his demand or otherwise has to make good on his own threats. Edwards is, of course, better known for comedies like Breakfast at Tiffany’s [review] and The Party [review], but he proves no slouch in the suspense department. Experiment in Terror is tense and mostly intriguing, only falling short by maybe being a little long. Edwards draws a sharp divide between his good guys and his bad guys, presenting Ford’s Ripley as the last good man standing guard against a demented criminal future--a trope dating back to Chandler’s The Big Sleep [review] and essential to many a noir antihero. There is a certain inevitability to how the world is changing, suggesting that somehow a destructive fate is unavoidable. And yet, Experiment in Terror lacks the cynicism of a good noir. Ripley is a true believer, and Kelly a shining beacon leading the way, suggesting that civilization should win because it’s good, rather than survive in spite of itself. And, of course, since it’s Blake Edwards, we get a striking Henry Mancini score, showing as much facility for dramatic tension as he normally does with light melody and irresistible rhythm. 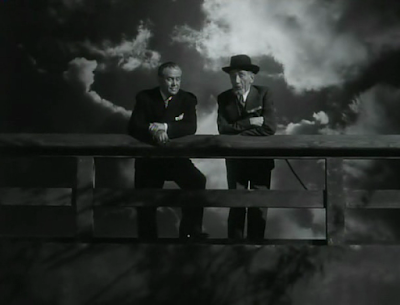 It’s the sort of thing Orson Welles rejected from the composer in Touch of Evil [review], a decision I’ve never entirely agreed with--so I’ll give that point to Edwards. Even as I take some away from the Criterion Channel. Of the three films reviewed, I’d only give Experiment in Terror a full recommendation, noir or no. Let’s hope some of the movies in the center of this virtual collection fit the mold a little better.